Hello guys! 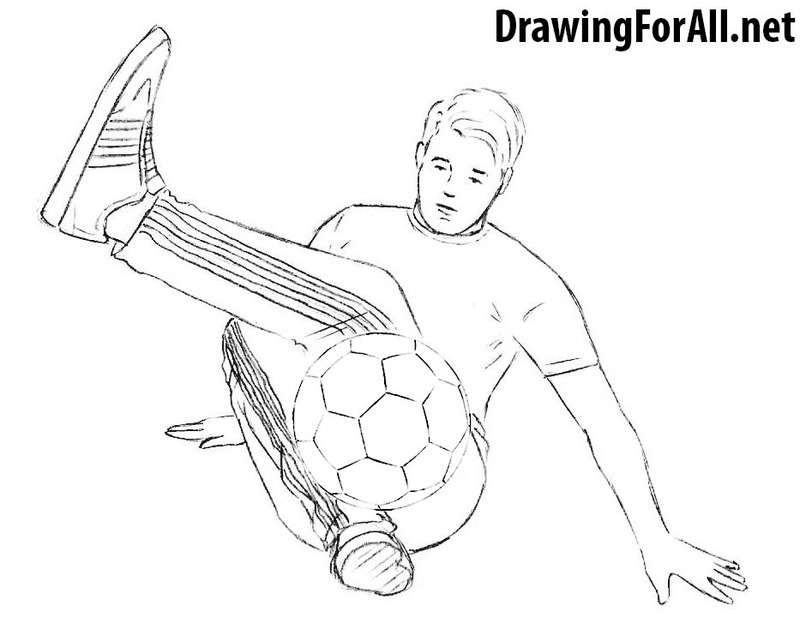 Today i will teach you how to draw a freestyle football player. 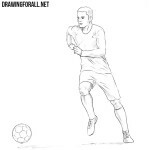 Freestyle football – is a very spectacular steer sport. 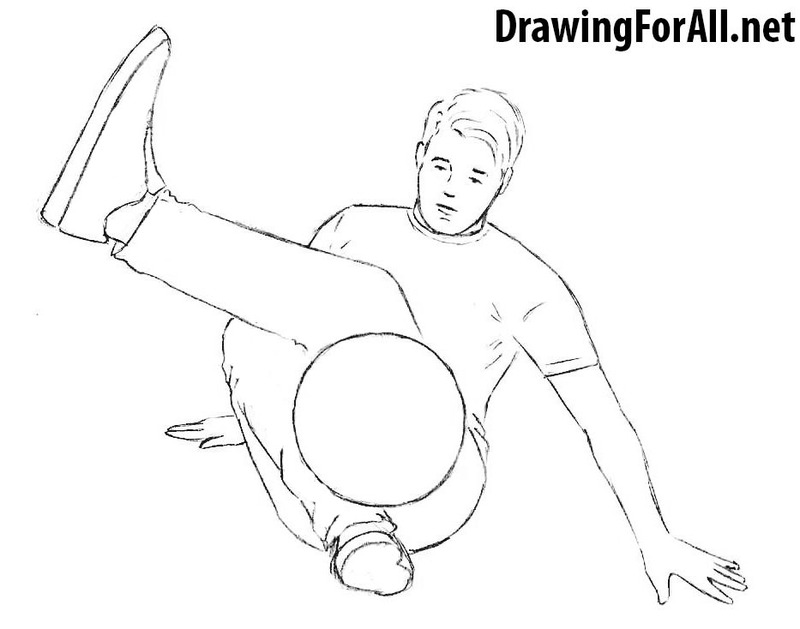 Freestyle football player can do diffucult tricks with the soccer ball. 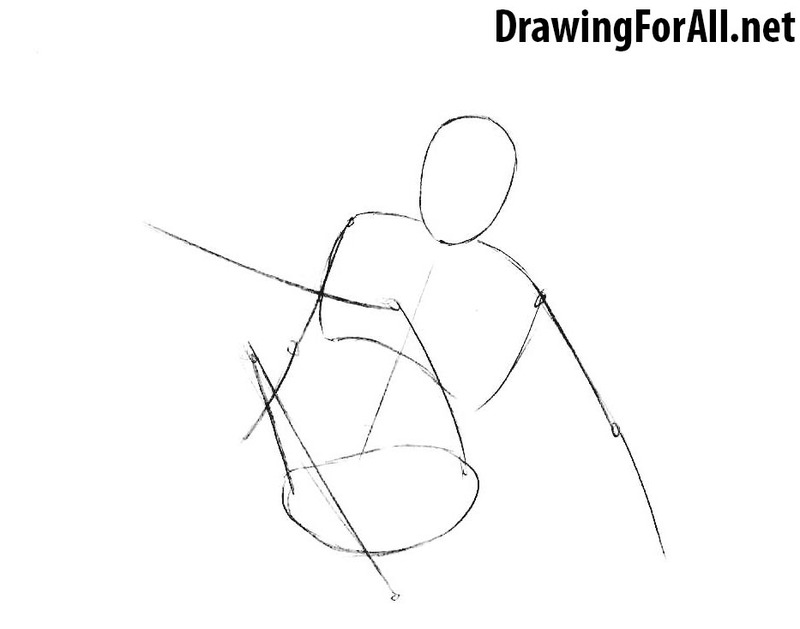 First we draw a stickman. In the second step we will try to add some volume in this stickman. Left us leg looks bigger than head. This is due to the unusual perspective. 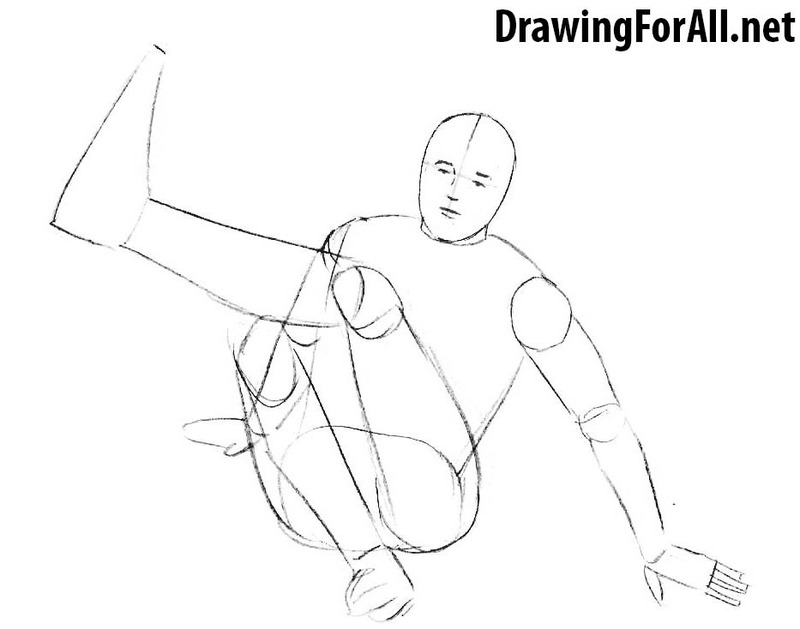 Let’s mark the eyes, nose and mouth in the form of dashes. 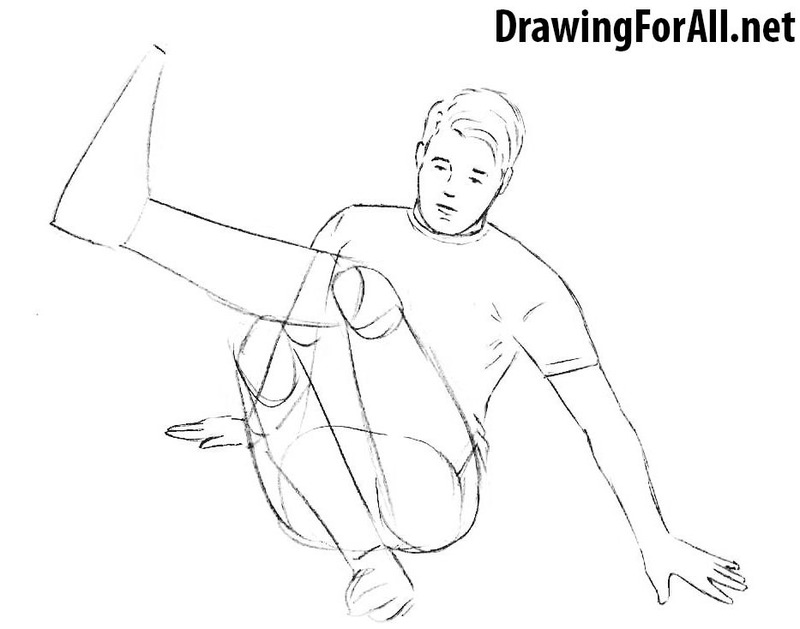 In this step we will draw the hair. Actually you can draw another hair but anyway don’t forget the main rule: you should draw the hair from the roots to the tips. It is on this direction. So we are moving towards the end of this drawing lesson. Draw the T-shirt and the contours of the hands. 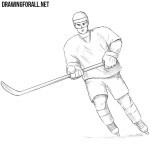 Don’t forget about the folds on fabric in the armpit area. Erase the guidelines from the previous steps. 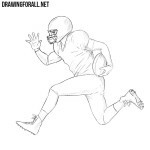 Draw pants, sneakers and the contours of the ball. The final step draw the strips and folds in the fabric of the pants and shoes.